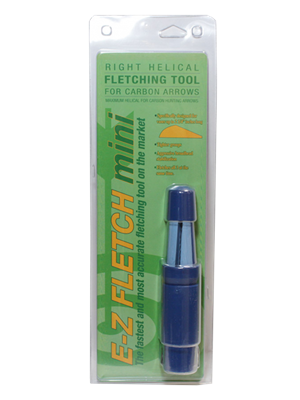 The Mini E-Z fletch is designed to fletch any carbon or aluminum arrow UNDER 20/64" (5/16") in diameter. 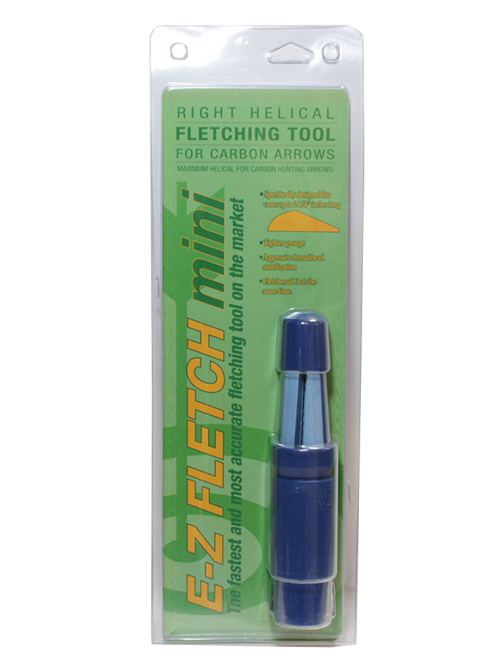 This tool will fletch vanes or feathers up to 2.25″ LONG. This tool gives a strong right helical for maximum broadhead stabilization and accuracy.